I have been asked what is the secret to winning on so many different contests~ really, there is no secret. Except that you cannot win if you do not enter. Same can be said for catching the fish of a lifetime. It can’t be done while sitting on the couch watching Jimmy Houston fish those well stocked southern bass farm ponds. You must get out and put in the time. 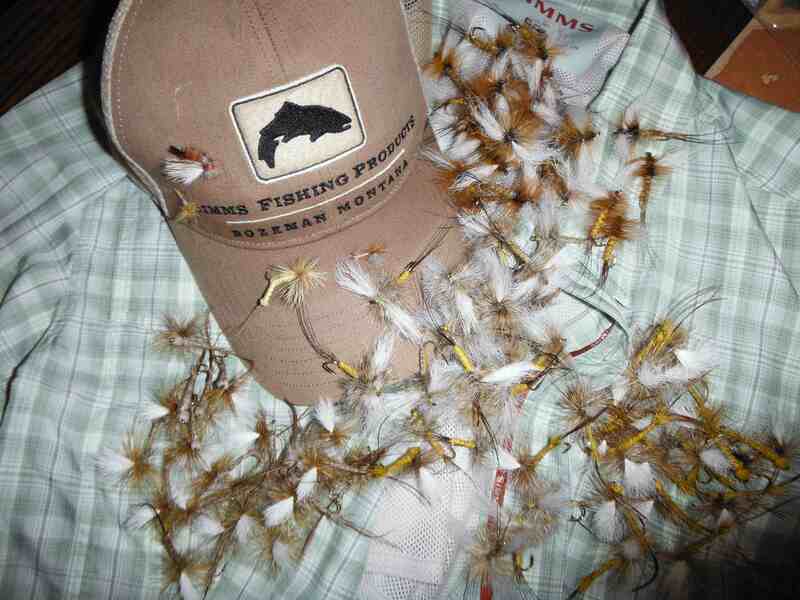 My recent winning from Fly Dreamers is by far the best I have ever raked in. Thank you for the sweet pair of G3’s! They fit like a well tailored glove I’ve owned for years. I can’t wait to put some miles on the well enforced knees scouting out some new monster trout habitat. Be sure to check out Fly Dreamers and sign up for new contests. I also have been prepping for the much anticipated highlight of the year~ the Hex Hatch. I have stocked my boxes with some of the best flies from local fly tyer. Ray has been peddling his unique and time proven patterns from bridge to bridge along the path of the migrating mayfly. Do your best to support these guys in your neck of the woods, it might be one of the few times they can rely on putting a decent meal on their table. If you are looking to float the Jordan or Upper Manistee rivers for some hefty brown trout action, be sure to book a date sooner than later with TNT Guide Service. Before you know it, the Fourth of July Parade and the heat of summer, along with some midnight mousin’ will be on the venue. Tight Lines & see you on the river!! 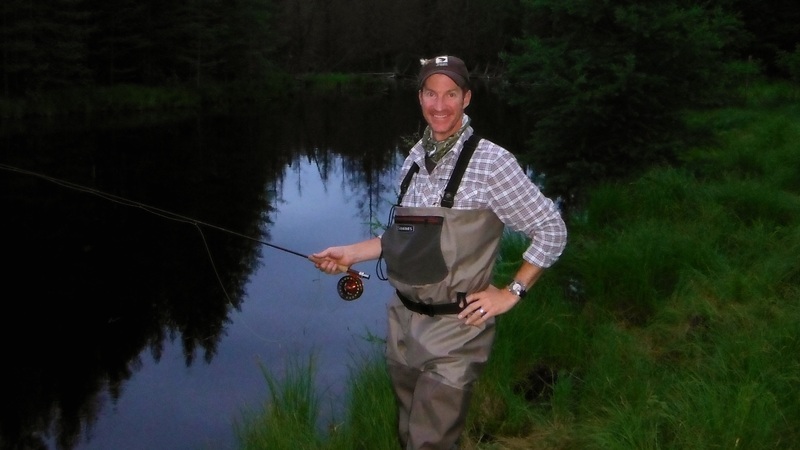 There is nothing that gets smaller than the eye of your fly as you are trying to thread it in the dwindling light of dusk and fish are rising all around you.